Komyo Reiki Kai, the system Inamoto Sensei has created, presents Reiki as it was understood and commonly practiced in the 1930’s in Japan. This system places emphasis on spiritual enfoldment through the practice of Reiki Ryoho, aiming for “satori” or enlightenment. 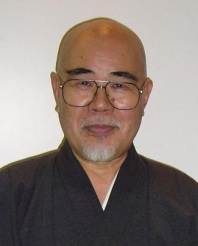 Inamoto Sensei learned Reiki from Mrs. Chiyoko Yamaguchi who had trained with Chujiro Hayashi Sensei, one of Usui Sensei’s original students. and Komyo Reiki Kai Shinpiden Course on July 24-July 25, 2010. Ruth E. ANDERSEN (New Jersey), and Liz WASSELL (New York). I would like to express my satisfaction for participating in this course. Loved it and glad I was able to attend. I will continue to follow this path. A priceless experience. Many thanks. and was inspired by your words of wisdom to continue on my lifelong spiritual path. Truly a blessing Sensei ... Thank You! I absolutely love it and hope to come again. I loved the class! Thank you so much Lilia for everything! Sensei is a beautiful, warm, inspiring, human being. 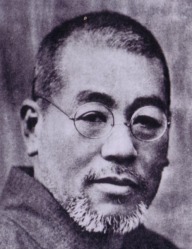 His knowledge, wisdom and understanding gave me a depth in Reiki that I hadn't achieve before. The class was great! I look forward to attending more in the future. Love, love, love, love, love, love, love, love, love .... I love the students, love the space, love the time, just love. My deepest gratitude to Universe, Reiki, Sensei,You and everybody.... I feel like I belong to the family.